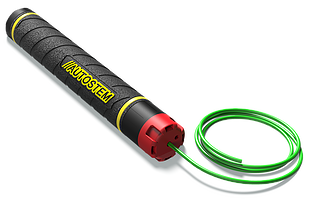 2.0 x more powerful than the next best packaged explosive at 5,121 j/g energy capacity. 340 m/s - Ensuring minimal vibration impact to surrounding environment. 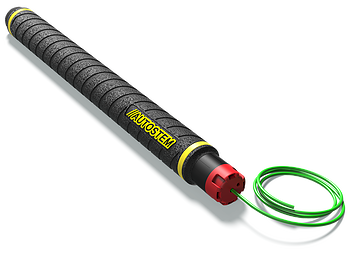 500 MPa - With reaction runaway, AutoStem cartridges reach maximum pressure within milliseconds sufficient to break out the hardest rock. 1.1 g/cm3 - Highest packing and mix density makes gen III cartridges the most powerful blasting cartridge available worldwide. PPV reduction relative to conventional explosives by up to 90% (depending on cartridge size, rock competency and application type). 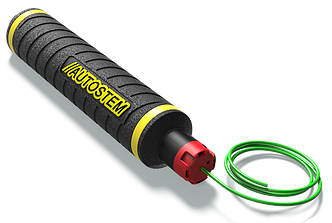 Water resistant as a standard to a depth of 50m (6 bar).